Early in 1967, Sidney Crooks went to the studio to record an original composition entitled Give Me Little Loving at a session financed by producer Joe Gibbs, but soon encountered a problem upon realizing the song would be more effective with an additional vocalist. Lacking a suitable partner to fill the role, he decided to throw caution to the wind and take a chance on a young man who happened to be singing outside the WIRL studio at the time. The singer was an electrical welder called Jackie Robinson and Sidney’s gamble paid off handsomely; Gimme Little Loving went on to reach number three on the island’s charts and so began a partnership that was to endure decades. Over the ensuing weeks, the pair pooled their songwriting skills, their joint efforts quickly bearing fruit with the release of their follow-up, Long Shot (Bus Me Bet), a song that concerned the unlikely subject of a prize-winning racehorse. The disc promptly made the Jamaican charts and over the next few months, the Pioneers were rarely out of the top national listings. 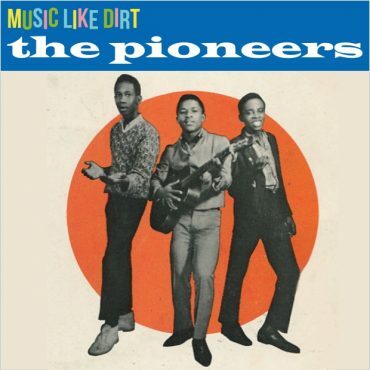 Popular singles from this time included Jackpot, No Dope Me Pony, Things Got To Change and Tickle Me For Days, all of which subsequently appeared on the album, Greetings From The Pioneers, issued by Gibbs around the summer of 68. Towards the close of the year, George Agard, a tailor by trade who was eager to make his name in the music business, approached Sidney and Jackie. George had made his recording debut a couple of years before, cutting a couple of duets with another singer called Winston for Leslie Kong (Beverley’s Records) before recording for Derrick Morgan and Bunny Lee, under the alias of Johnny Melody, but he felt his talent would be better utilized within the framework of a group. After impressing the pair with his rendition of an original composition entitled Na Na, the trio recorded the song as Johnny Melody & the Slickers, issuing the single on their own Slickers imprint. The enormous popularity of the single ensured George’s full-time member of the Pioneers and with their sound now complete, the group began recording in earnest for Leslie Kong’s Beverley’s label. Before long, the trio would become one of the most successful vocal groups in the history of Jamaican music. The trio’s initial release on Beverley’s imprint was the chart-topping Easy Come Easy Go; a song written in response to an acerbic swipe at the group entitled Never See Come See that Joe Gibbs had written for Royals in reaction to the Pioneers departure from his roster. The single was followed soon after by Long Shot Kick De Bucket, a belated sequel to Long Shot that related the death of the famed horse at a race held at Kingston’s Caymanas Park race-course. Unsurprisingly, the song quickly became a nationwide hit in Jamaica, but bearing in mind its parochial subject matter, its success on the other side of the Atlantic was less predictable. Released in the UK by Trojan, the record was initially ignored by the hugely influential BBC, but following its appearance on a number of independent radio stations, the corporation finally relented and added it to their play-list. On October 18th, Long Shot Kick de Bucket crept into the national British Pop charts and over the next few weeks, steadily climbed up the listings where it eventually peaked at number twenty-one. A month after its appearance on the UK chart, Sidney, Jackie and George flew in to London to promote the record on a six week tour of Britain, backed by a group called Sweet Blindness. By now, the Pioneers had recorded numerous sides for Kong, a dozen of which made their way onto their second album, Long Shot, that was issued by Trojan in the Autumn of 1969. In the early months of 1970, the trio returned to the studio to lay down vocals over backing tracks produced by Kong in Jamaica. The recordings were then mixed down and subsequently featured on the group’s next album, Battle Of The Giants, a collection that illustrated a subtle but definite change in the their sound with the influence of American R&B now a clear influencing upon their style. The title track of the album was later embellished with horns for the UK singles market and despite selling well, just failed to breach the British Pop charts. Later in the year, the trio recorded Starvation, a song highlighting the terrible famine among the Biafran people following the Nigerian civil war that predated the worldwide appeal records made by the likes of Band Aid and USA For Africa by over a decade. The group’s next big single, in contrast, was a lively interpretation of the Johnny Johnson & The Bandwagon hit, (I Need Your) Sweet Inspiration, the overall production of which was handled by the Pioneers themselves. Around the close of 1970, the trio teamed up with famed singer/songwriter, Jimmy Cliff, who arranged for them to record a number of titles, including a song he had penned earlier that year, entitled Let Your Yeah Be Yeah. The recording was as far removed from the group’s material from sixties as one could imagine, in terms of lyric, melody and arrangements. Gone were the simplistic arrangements of that typified their earlier material the Pioneers were now making sophisticated pieces of Pop-Reggae, aimed primarily for an international audience. Much to the chagrin of many purists, Let Your Yeah Be Yeah became one of the best selling Reggae 45s of 1971, peaking at number five in the British Pop charts in August. 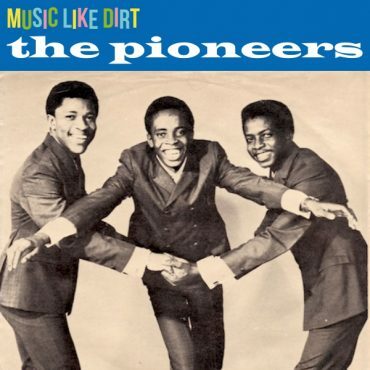 Tragically, that same month, producer Leslie Kong suffered a fatal heart attack and while by now his involvement in the Pioneers music had by this time decreased significantly, his death was still a sad loss to the trio. Meanwhile, in the wake of their massive hit, The Pioneers maintained their heavy workload, touring Britain, Egypt, Lebanon, Germany and Ireland, while also completing work on another album, Yeah!. In January 1972, their follow-up single, Give And Take breached the British music listings and while it failed to match the impressive success of the group’s previous 45, it still managed to climb to a respectable number 35 in the charts. Subsequent recordings included Roll Muddy River and a fine rendering of Sam & Dave’s “You Don’t Know Like I Know”, both of which were produced by London-based producer, Clive Crawley. Around this time, Jackie also took time out of the group to record a popular version of the Drifters’ 1965 hit, Come On Over To My Place – his first solo material since 1968, although he was soon back with his regular singing partners, fronting the Pioneers on a number of sides produced by Sidney, who increasingly began handling the groups’ arrangements. Singles from this period included Time Hard (aka Everyday) and I Believe In Love the latter providing the title for their next collection, issued later in 1972. Over the years, the Pioneers’ unique brand of Reggae ensured their popularity with mainstream audiences in Britain and across Europe, their choice of material reflecting the different musical styles influencing their sound. Today, geography does not prevent Sydney, Jackie and George from performing together on a regular basis as the trio remains the best of friends, bound by their history and a determination to ensure one of the greatest vocal groups in the history of Jamaican music remains active and relevant to contemporary Reggae music. Reggae fans the world over continue to enjoy the music from the Pioneers long and glorious past and look forward to a proliferation of hits and tours from one of Jamaica’s finest reggae Pioneers.